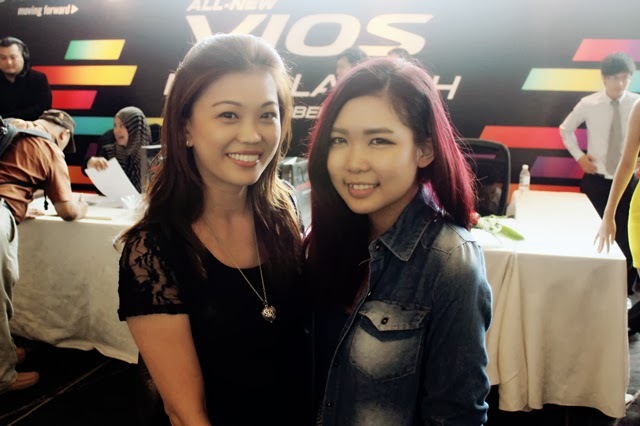 Was invited to attend the launch of All-New Toyota Vios, best selling model in the non national segment and the most popular models sold in Malaysia since UMW Toyota Motor launched the Toyota Vios in 2003 at KL Hilton Hotel with some several blogger. 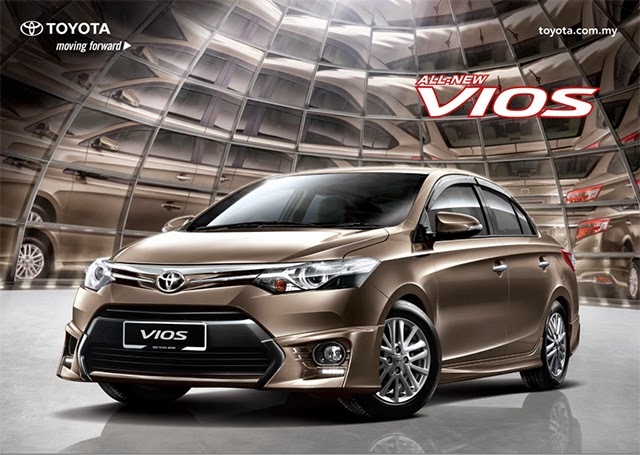 UMW Toyota Motor has finally introduced the All-New Toyota Vios to Malaysia. Developed with the concept of "Value Beyond Belief", the new Vios continues to give better ownership value to customers. The aim was also to provide a new generation of the Vios which would give a greater sense of pride to owners with a fresh new design and enhanced features to make it a class leader. The All-New Toyota Vios includes improved styling, advanced automotive technologies and upgraded features for all variants. YBhg Tan Sri Asmat Kamaludin, Chairman of UMW Toyota Motor; YBhg Datuk Takashi Hibi, Deputy Chairman of UMW Toyota Motor, YBhg Datuk Ismet Suki, President of UMW Toyota Motor, Mr. Hiroyuki Fukui, Managing Officer, Toyota Motor Corporation, Japan and Mr. Takatomo Suzuki, Deputy Chief Engineer of the All New Toyota VIOS. 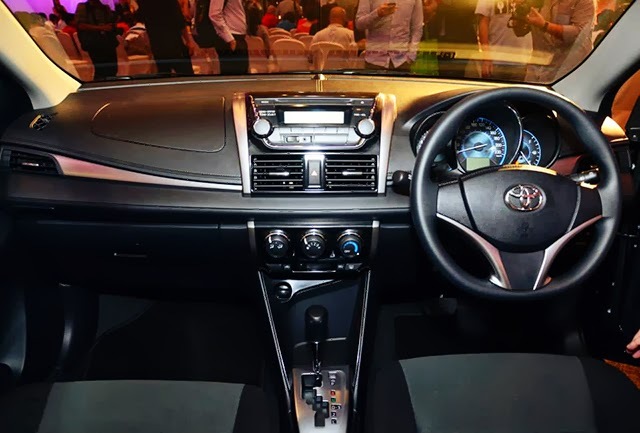 The All-New Toyota Vios boasts new and innovative features of exterior and interior. 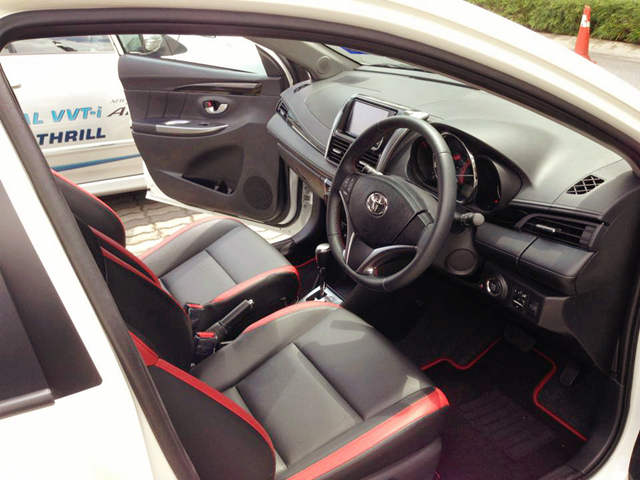 The All-New Toyota Vios's redesigned exterior which gives it a more edgy, sporty and aggressive feel. Substantial length and an impressive presence that exceeds its class, full length of the vehicle expressed along straight axis with a long window graphic, and strongly tapered cabin and firmly planted under body creates a confident place. Talking about safety, the All-New Toyota Vios comes with Anti-Lock Braking System (ABS) to prevent the wheels from locking up during braking, Electronic Brake-Force Distribution (EBD) to distributes braking power to each wheel, Brake Assist (BA) for stopping power during emergency braking, Anti-Jam Protection Window - for driver only (Auto Window) to added safety for driver when window is raised, and Dual SRS Airbag for protection of front occupants from head to torso in case of frontal collision happen. 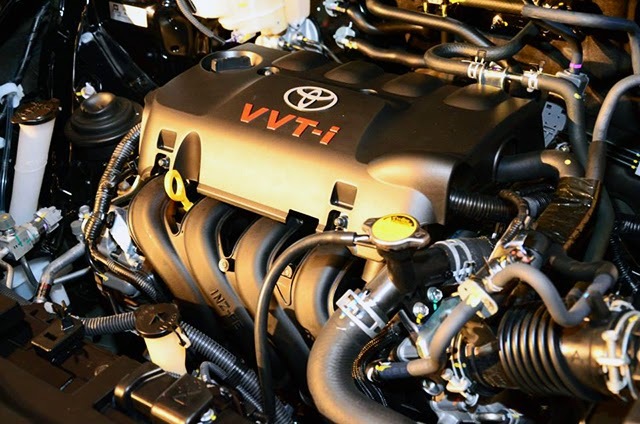 The All-New Toyota Vios comes with the same reliable VVT-i engine. This vehicle has improved the engine to ensure excellent handling, stability and ride comfort while also adjust the intake valve timing to generate powerful acceleration, better fuel efficiency and cleaner emissions. 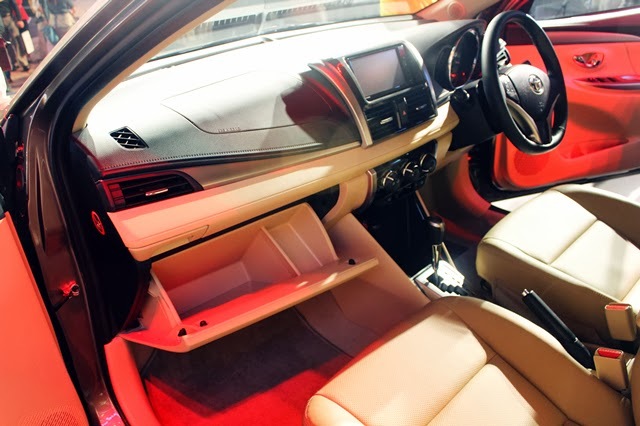 The interior improvement of the All-New Toyota Vios. Stylish Meter Panels and Multi-Information Display (MID). 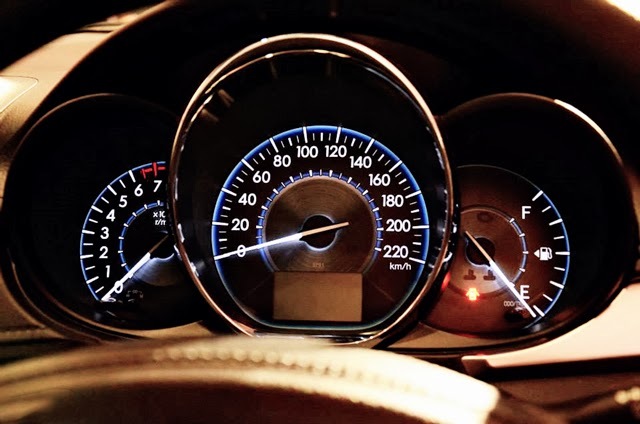 Three rings meter features the Multi-Information Display (MID) with blue odometer and trip-meter reading. Leather wrapped steering wheel has audio switches and tilt function means driver can simply changes radio channels and the volume right from the steering switch control without looking at audio system. With electric power steering (EPS), this speed sensitive power steering that is light during low speed but progressive stiffens up at higher speed for better stability and also increase fuel efficiency assist steering when necessary. 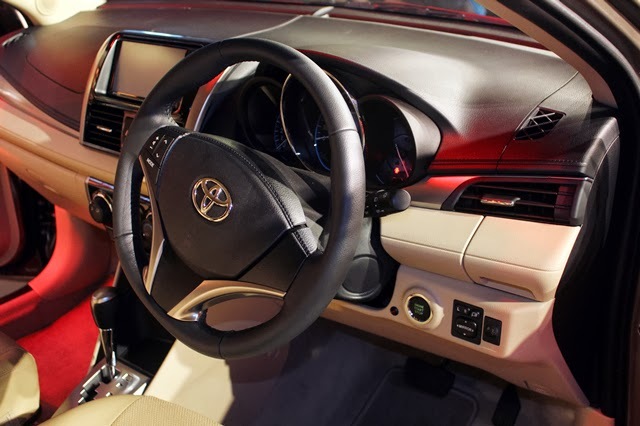 Smart Entry & Push Button function has add into the All-New Toyota Vios for better convenient so consumers can simple lock and unlock the door without taking the key out of your pocket, then start the engine and unlatch the spacious trunk with only a touch of button. 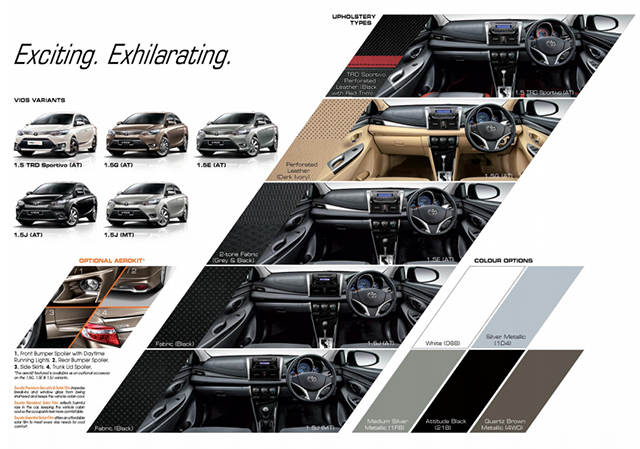 Changes of contemporary interior and improvement of storage area such as storage compartments in the instrument panel, console packet for iPad storage, console tray and glove box along with cable hooks, door pockets, cup holders at rear center armrest, rear more space for more legroom and ease for storage (Vios 1.5 TRD Sportivo, 1.5G & 1.5E only), and 60:40 splits folding seats at rear seats. One of the main highlight of the All-New Toyota Vios is the increases of rear passenger space. Slim from backseats are -38mm slimmer, knee clearance is +48mm increases, and +10mm increases between couple distance. 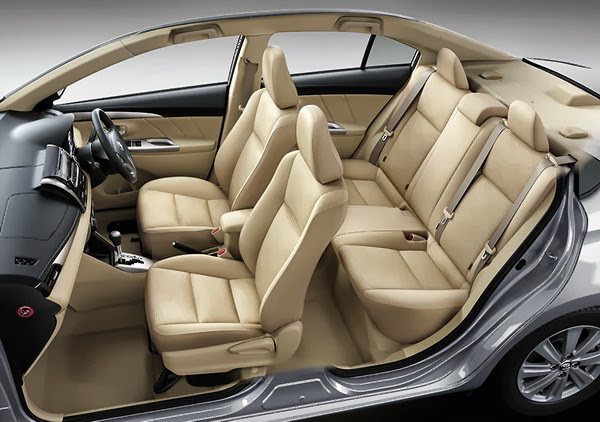 With the improvement, the seats are more comfortable and support with a greater range of adjustment, fore and aft. 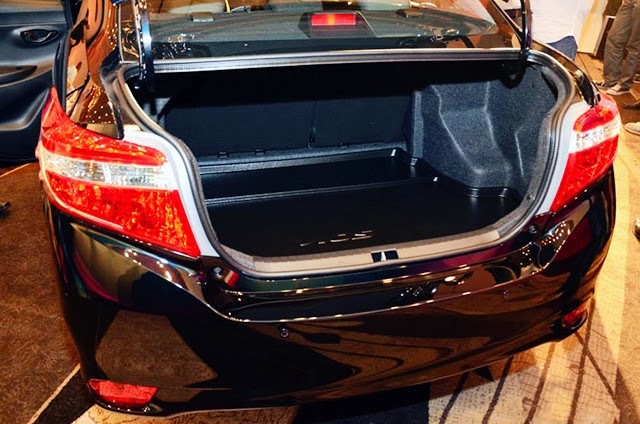 Other than that, the All-New Toyota Vios has a bigger luggage space for better loading. With new streamlined headlamps, an aggressive grille the All-New Toyota Vios front fascia is a sure head turner. 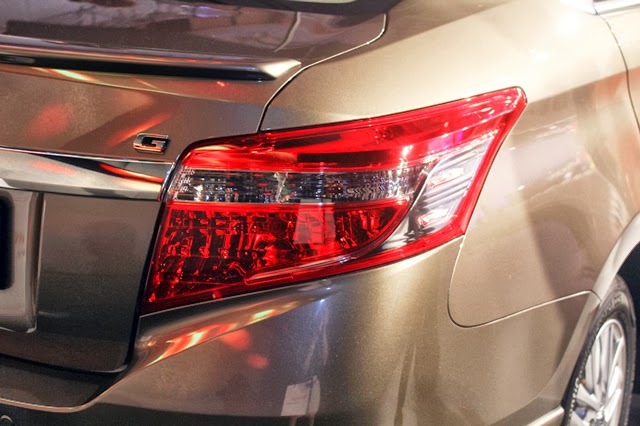 To match this, its tail lamps have been changed giving it a sharper and more futuristic look with distinctive shape that flares out to emphasis the corner of the rear edge. The All-New Toyota Vios are available in five variants from four equipment levels. Last but not least, thanks to UMW Toyota Motor, I can have an exclusive opportunity to drive and experience the features of the All-New Toyota Vios. Me with the All-New Toyota Vios TRD Sportivo version, my favourite model. 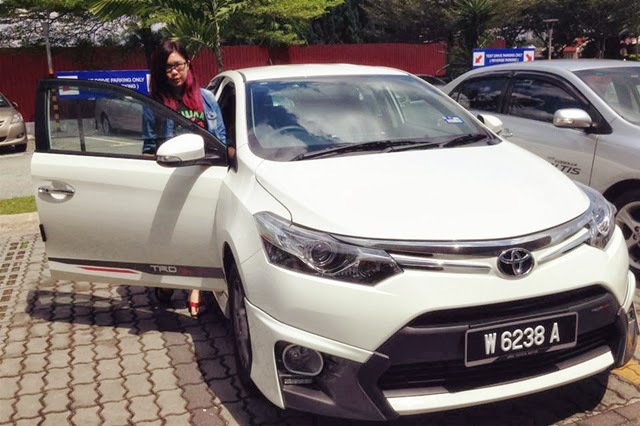 Driving the All-New Toyota Vios TRD Sportivo version. The All-New Toyota Vios is really comfortable plus with the changes of interior design such as new 'fit' places to holding my gadgets perfectly so I can grab it easily. The combination of my favourite color in black and red of leather seat makes the interior more sporty and young plus the seat was perfectly fitted. The texture is nice to touch too. When passing bumps, it's only minimal shake and movement and I could barely hear very minimal sound from outside when driving over 120 km/h. The engine sound is quiet even when on/off car and also braking. For stability, I could say this car is good because it doesn't 'float' when driving fast on high-way. It also easily hit to speed without sound. And the last part was the key! Keyless Smart Entry & Push Button. Car can lock and unlock without taking out the car key while engine can be ignited with just a push a button. Well~~ I know this is not a new technology but currently all my cars are still in old version mode so I think this is really convenient especially for women so we don't need to keep on searching our bag every time. Beautiful exterior and cozy interior really touched my heart tho. Toyota is always my favourite car and I used to love Vios when I was in college. 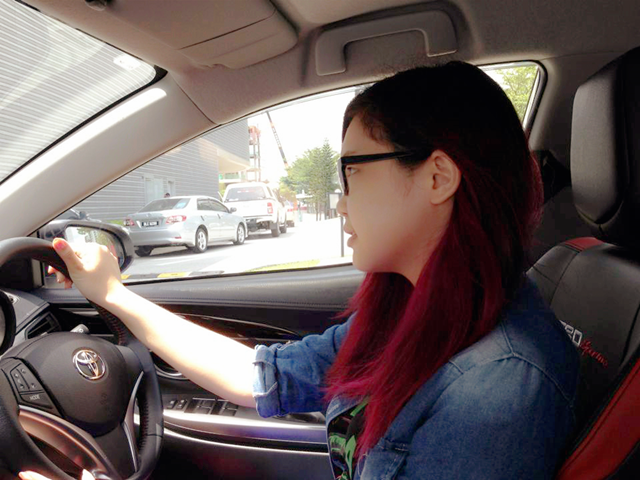 So cool that you had the opportunity to drive and experience.